Reverb: it’s something everyone needs. And yet in hardware, you almost always see the same couple of boxes. It seems about time for a new player. 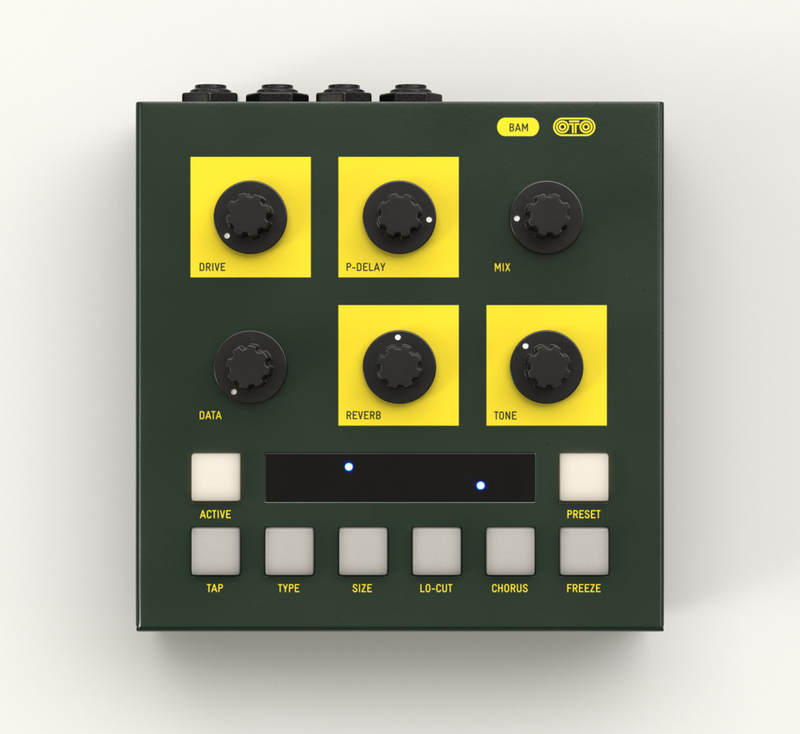 And OTO Machines, known for their BISCUIT 8-bit effect box and filter, might have just the candidate. BAM, coming soon, emulates the reverbs of the 70s and 80s. And in the demo, it sounds amazing. Given that reverbs by definition emulate natural reflections, they’re really all about character. And if you’re going to invest in a hardware box, presumably what you’d want is a range of different character traits, and the ability to adjust between them. That’s where it seems like the OTO folks are onto something. For their stereo reverb, they’ve gone back to late 70s and early 80s digital reverbs. The idea is not to sound like a realistic space, so much as it is to produce a musically flexible sonic character – the warmth and particular “grainy” characteristics of those older reverbs, plus the ability to tune an effect from very short delays to rich, longer reverb tails. Now, it’s reasonably easy to find those qualities in software, but in hardware, your choices are more limited. And that’s why this demo video has me excited (and probably you, as well). It’s a common misconception that “digital” hardware wouldn’t be unique, but that ignores all the design decisions that went into vintage digital gear. OTO talk about that in describing their process: they say they’ve been inspired by details like the converters (12-bit gain-stepping converters for 15-bit resolution, for instance), unique algorithms tailored to the limitations of slow processors and limited memory, and analog filters. I think we’re on the verge of people realizing that those digital restrictions wound up producing musical results in the same way that analog circuitry did. Constraints focus good designers to make particular choices – perhaps to be guided even more by their ears. But whatever the reason, you are already accustomed to many of these sounds. OTO have taken those design lessons, but they say they’ve also added some new algorithms. And it’s clear from the video that they’ve also provided a range of controls. 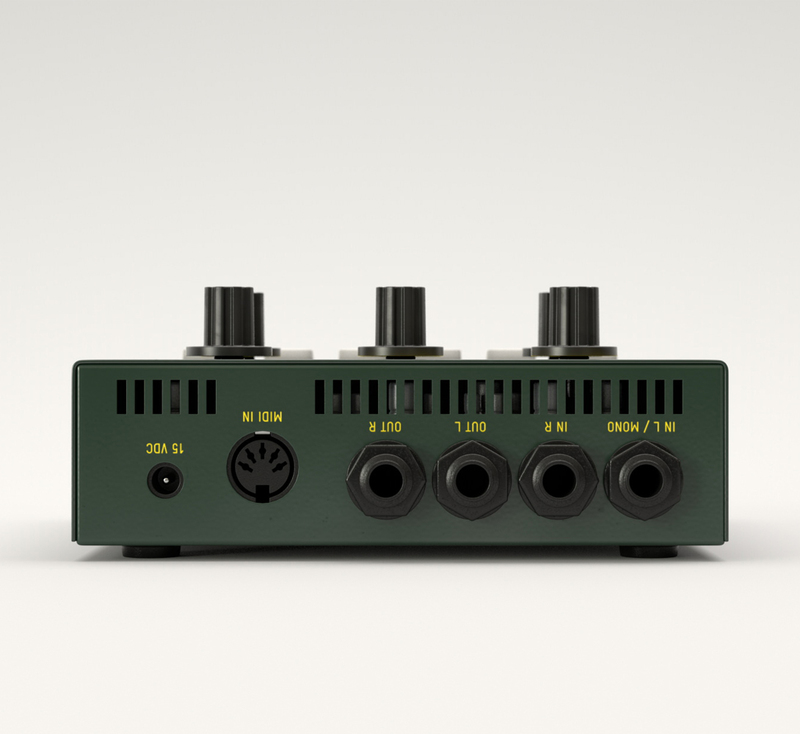 You get an input gain up to +15 dB, with analog clipping (phew), so you can get your input loud. There’s still MIDI control when you want it. The delay range can move from tight plates to long reverbs, and there’s a pre-delay of up to 500 ms (or 1500 ms with the TAP switch). You get modulation, too, via a chorus parameter. For tempo-synced effects, there’s an assignable tap tempo. And there’s MIDI input, with CC and program change. This also looks performance friendly. Apart from MIDI and tempo, there are three bypass modes (relay, spillover, aux), a freeze switch, and 36 user presets. All in steel with Neutrik connectors and power in the box. At 460€, it’s spendy before VAT, so I’ll want to try the final unit – but on the other hand, if they nailed this, it could wind up being one of the most essential pieces of gear you own. Okay, if I sound excited, it’s because I’ve heard a lot of a certain other reverb – one I love – that everyone has. And I’m ready for some diversity. Fingers crossed. Stay tuned. And if this isn’t your speed, keep your eyes out for this 12-bit “BIM” delay – available now.